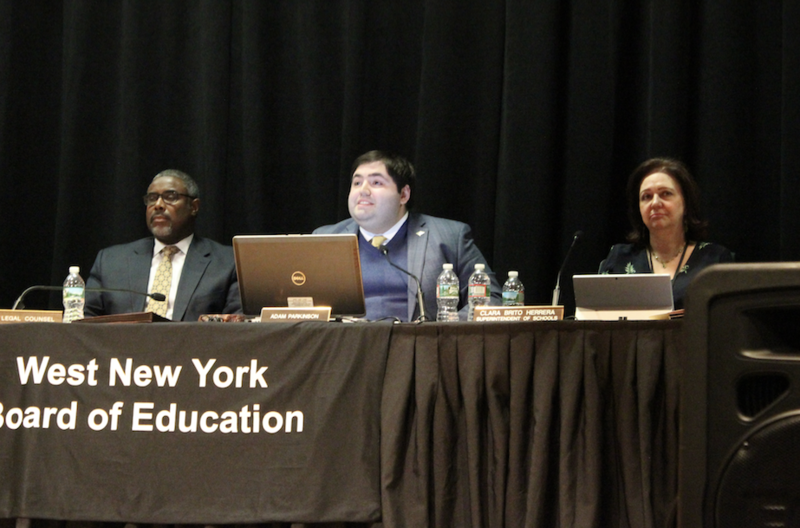 Adam Parkinson (center) was re-elected President of the Board of Education on Jan. 2. Jonathan Castanera was sworn in as a Trustee on Jan 2. Joseph Rodriguez was sworn in as a Trustee on Jan 2. Adrienne Sires was sworn in as a trustee on Jan 2. On Jan. 2, the West New York Board of Education held its annual reorganization meeting. Three new trustees were sworn in, and elections were held for both president and vice president for the upcoming term. The slate of trustees was elected in November, and ran together under the “Your Children’s Future” slate. The election began after the three new trustees were sworn in. Trustee Jonathan Castaneda nominated Trustee David Morel for president; he lost the vote to Adam Parkinson, who was re-elected president. Parkinson, a Memorial High School graduate, was first elected to the Board of Education at age 18 and has served as president since 2016. He teaches 7th and 8th grade math at Weehawken High School. 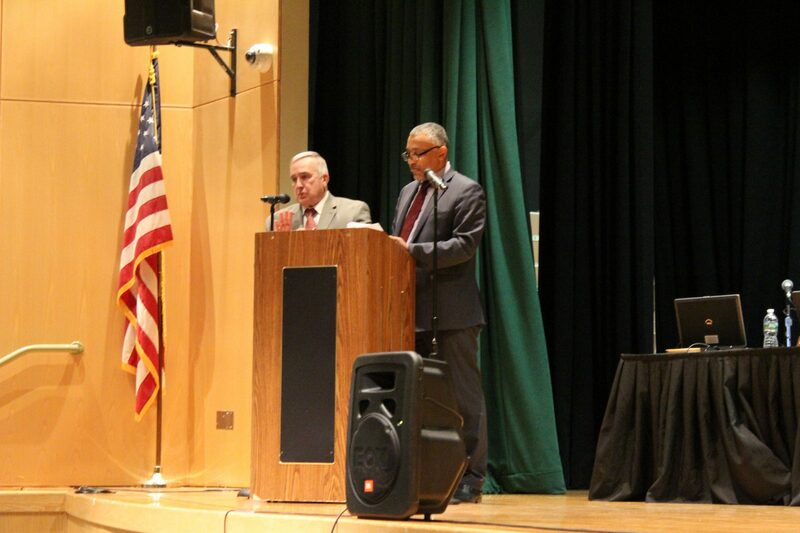 Parkinson noted that this year, West New York’s district was high-performing and certified by Future Ready Schools, thanks to improvements in classroom technology. He said that the new board plans more improvements in the district. “It will be a no-nonsense board working without a political agenda, but with true leaders in education.” – Superintendent Clara Brito Herrera. The vote for Vice President resulted in a tie between Trustee David Morel and Trustee Damarys Gonzalez. Parkinson said that the vote will be recast when the Board of Ed holds its next meeting in February. 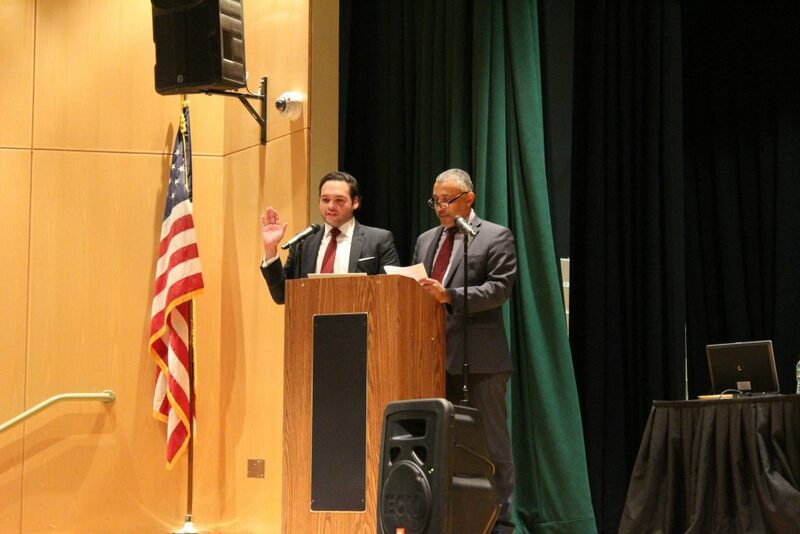 The first of the trustees to be sworn in by Secretary Dean Austin was Joseph Rodriguez, who said that he is happy to be able to continue advocating for students of West New York. He is married to Hudson County Freeholder Caridad Rodriguez, who had also served as a state assemblywoman and West New York Commissioner. The second trustee to be sworn in was Jonathan Castaneda, a former chief of staff in Mayor Roque’s administration; he resigned from that position to work for the Port Authority. Castaneda is a lifelong West New York resident. 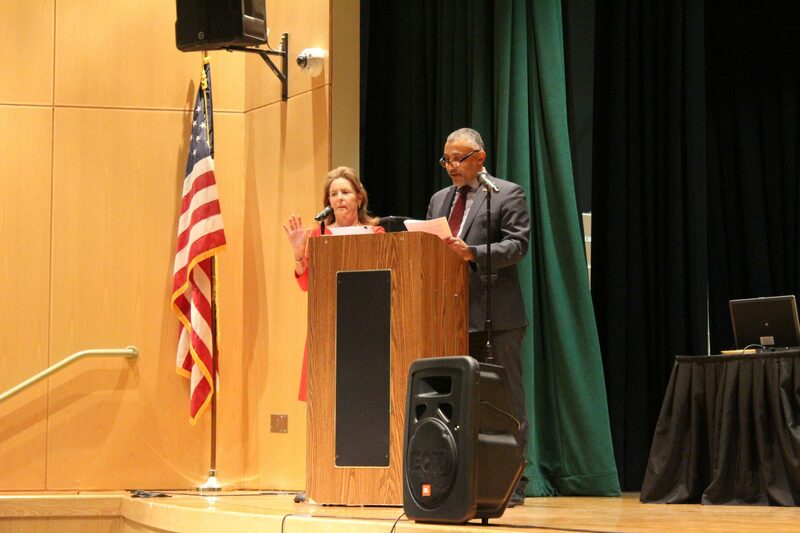 The third trustee sworn in was Adrienne Sires, who had formerly been a French teacher and assistant superintendent in the West New York school district. She also served a portion of a term as board of education president in 2013, before resigning in her second year. She is married to U.S. Congressman Albio Sires, who has represented the state’s 8th district since 2006. “I am truly privileged to work with her, moving forward with ideas we discussed during lunch when she was a district administrator,” said Brito Herrera.